Wow. What a summer. This past weekend marked my last weekend traveling. What was the destination you ask? The land of awesome accents and fish and chips.. London! Before I delve into what an amazing trip my London vacation was, I’d like to apologize about my lack of blog posts lately. The primary reason for my hiatus is academics. Before my last blog post on my Paris trips earlier this weekend, I hadn’t posted in quite some time. To rationalize this gap in my virtual updates, I blame school. My classes picked up pace, resulting in an average of 2 tests a week for the duration of my break from posting. This might be an excuse, but I believe it is a rational one, at that. Anywho, on to the fun stuff: London! I made the trip with two of my friends, and because all of our Eurail Passes expired, we used busses and flights for the trip’s transportation. Upon leaving Metz in our little Flibco shuttle, I made an unfortunate realization. I had forgotten my camera! I left it charging in my dorm room. On top of that, I also forgot my phone charger in my room. How could I have been so forgetful? This limited my photo-taking capabilities, since I could only take pictures with my phone until my phone died. Whoops. There were some belligerent drunk Englishmen on our flight as well. I was astonished at how intoxicated this group of eight or so grown men was at six in the evening. One walked through security without wearing a shirt. Another’s entire vocabulary seemed to be curse words. They chanted and sang on the plane like it was a bar. Instead of getting too irritated, however, I had a nice conversation with one of my friends and one of our seat neighbors who’s an American soldier stationed in Germany. All in all, that was one of my more interesting plane rides. We got off our bus at Liverpool Street and took the Tube to our hostel. I was surprised by the amount of nightlife at such a late time of night. The subway was jam packed with people at 1:30, which is crazy! Fortunately, the majority of the crowd exited the train a couple stops after Liverpool Street. Albeit the rocky start, the trip only got better and better as the weekend continued. We checked into our hostel via a cash register at a bar—our hostel was attached to a pub— and finally went to sleep after a long day of travel. My friends and I woke up bright and early to eat breakfast and make our way to a free walking tour. The walking tour was neat. We didn’t stay the whole time, but we did see a good number of areas, and I learned a lot! 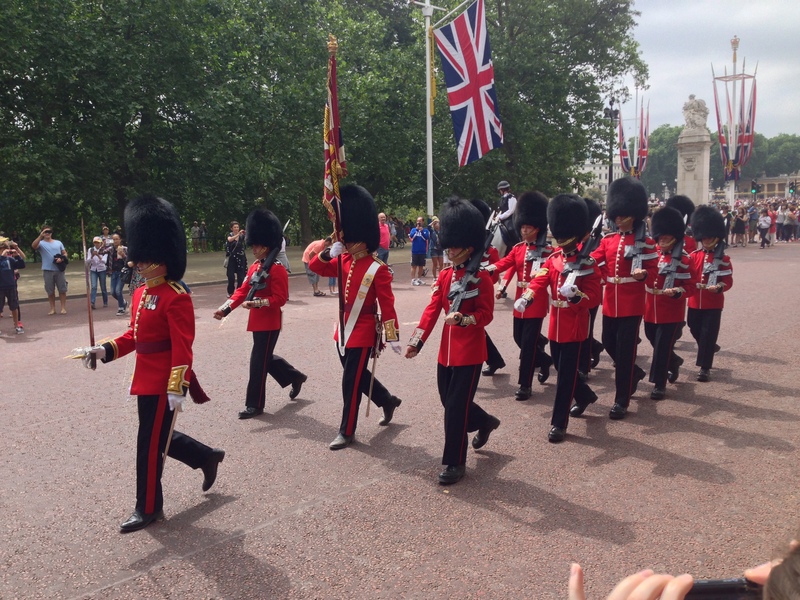 The tour starting at the Wellington Arch and worked its way through Green Park to Trafalgar Square, visiting the Buckingham Palace, the first Hard Rock Café, and plenty of monuments. Buckingham Palace was packed (as expected) and we did not see the Changing of the Guard, but we did have the Royal Band march past us! 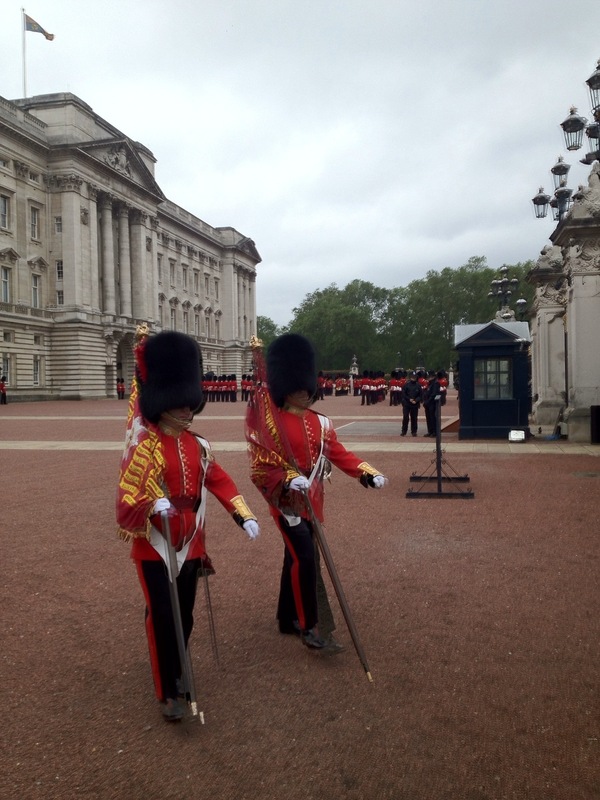 Did you know that the guards do not wear their iconic hats when it rains, because the hats hold so much water that the weight could cause neck injuries? Crazy! We broke off from the tour group at Trafalgar Square because we had tickets to a theatre performance of The Lion King in an hour and we needed lunch beforehand. Where’d we eat lunch, you ask? A Mexican restaurant we found about 50 feet from Trafalgar Square. It was the first Mexican food I’d eaten since the beginning of the summer, and was it delicious! 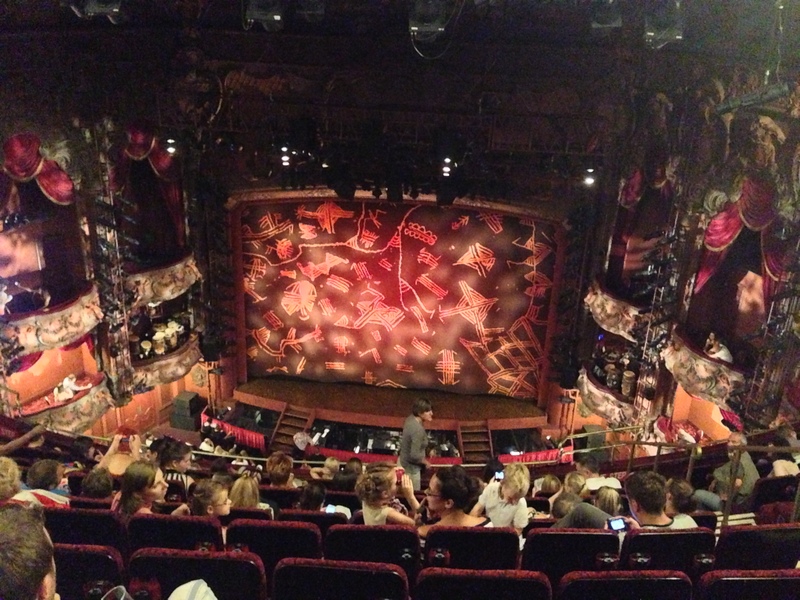 Then we found our way to the Lyceum for The Lion King, sat back, and enjoyed the show. The performance was spectacular! The visuals were stunning and the show was very well done. I didn’t like either Simba actor that much, but that was my only critique of the show. I still loved it, and it was well worth the money to see a play in London. That evening, my friends and I took the Underground south in London to meet one of my family friends who lives in the city. We met for dinner, and then hung out at a pub. It turns out it was “Quiz Night” at the pub, so we all opted in for a fun night of trivia! We got last place. Haha but it was really enjoyable! We estimated that approximately 20 out of the 80 possible points were focused on British television. With one British person who doesn’t watch too much TV in our group, that probably put us at a slight disadvantage. At least, that’s what we told ourselves. We said goodbye to my friend and retired to our hostel for the night. The next morning, my friends and I decided to partake in America’s favorite pastime (aside from baseball). Now, I’m not normally the biggest fan of shopping, but I had fun that morning. We first visited Primark, a department store open only in Europe with ridiculously low prices. I managed to be frugal, only purchasing a few shirts, despite the temptation to adopt an entire new European wardrobe of cheap and stylish clothes. 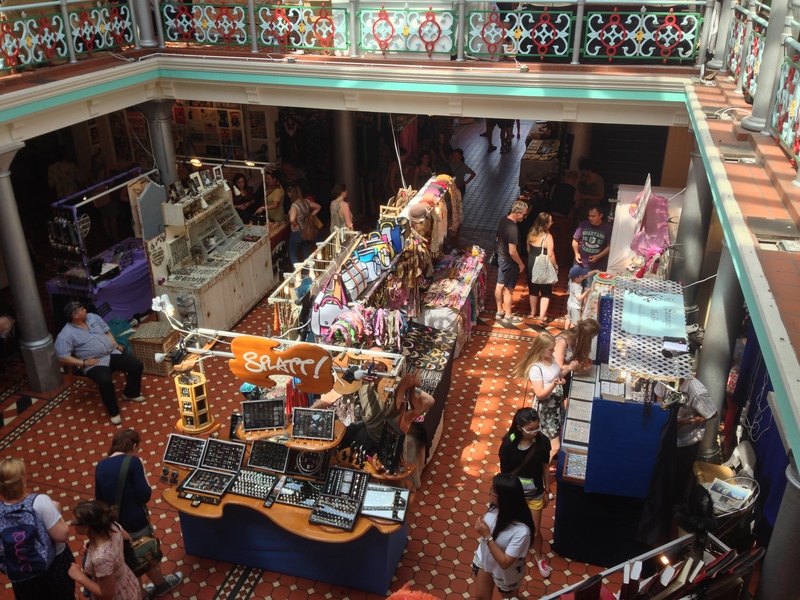 Our next stop was Camden Market. We weren’t shopping as much there as we were just walking around and looking at everything. There were street vendors every ten steps on the street, but also some really cool markets filled with artists and craftsmen tucked away in some squares. I bought some gifts for my family, and then we ate Fish and Chips on the sidewalk. As cliché as it sounds, the food tasted great! Our next stop brought out the inner wizard in all of us. 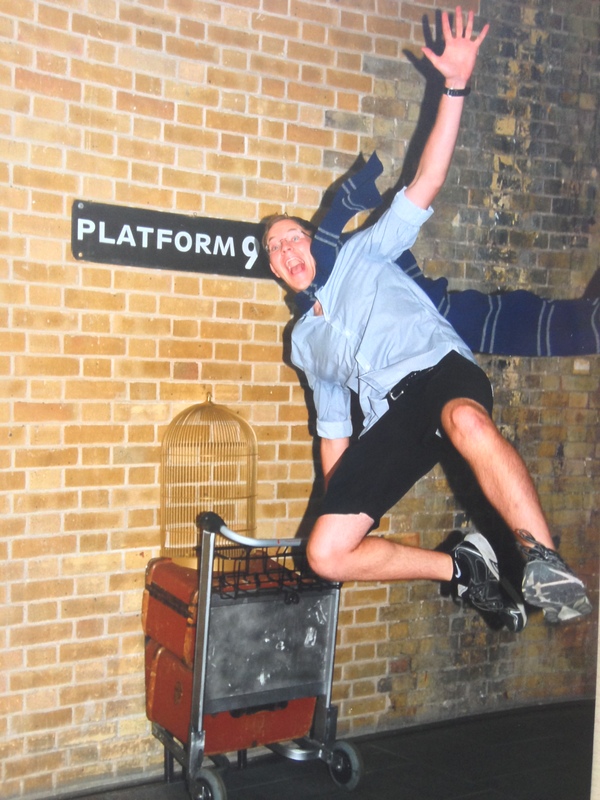 We rode the subway over to King’s Cross Station with the intent of visiting Platform 9 ¾. There’s a neat photo opportunity the station’s set up with half of a cart sticking out from a wall underneath a sign that says Platform 9 ¾. My friends and I waited in line to get our picture “running through the wall” just like Harry Potter. I had a blast joking around with my friends and the employee working the photo station. 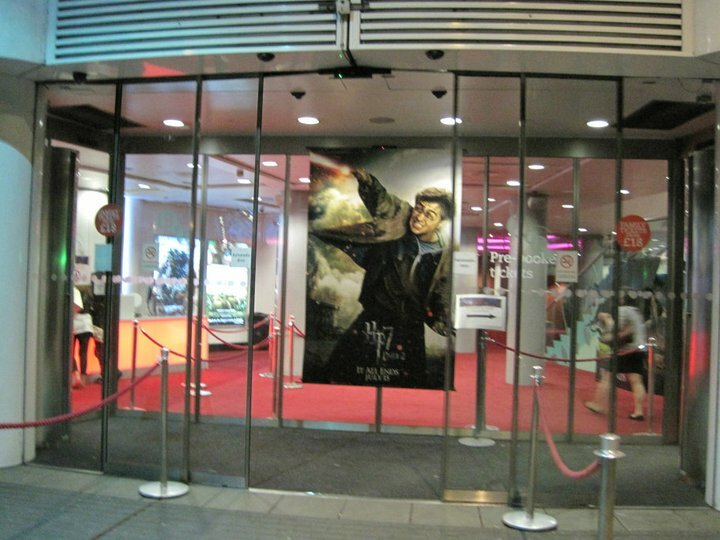 We took our pictures and looked through the Harry Potter store in the station. I’m now considering transferring to Hogwarts. Just kidding, but I’d say our mission was accomplished at King’s Cross! We took the Tube over to the London Towers, but decided not to go inside because of the price and the approaching closing time. Instead, we walked over the Tower Bridge and along the Thames River for the rest of the evening. I loved that walk. The river and everything along its banks was gorgeous in the afternoon, evening, and at dusk. We saw Shakespeare’s Globe Theatre, the Millennium Bridge, the London Bridge, St. Paul’s Cathedral, the London Eye, Big Ben, and the Parliament Building. 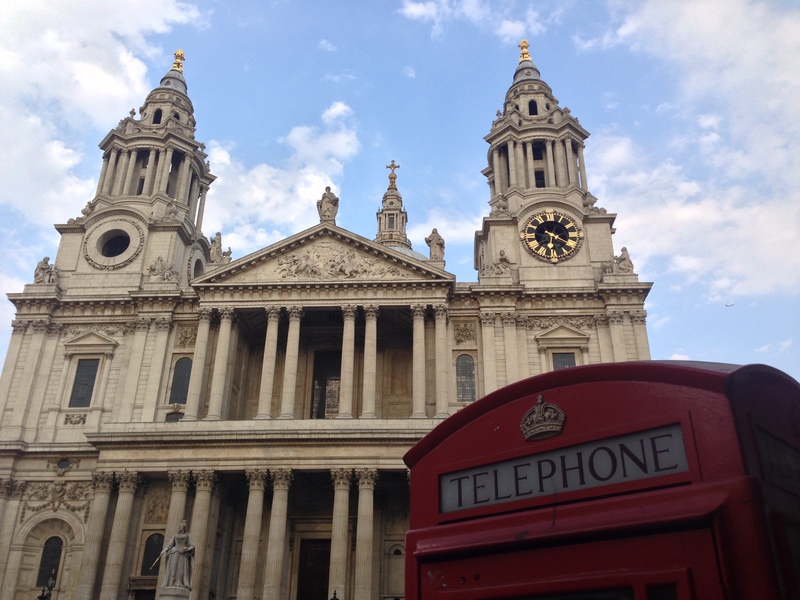 We even managed to take some phone booth pictures when we weren’t taking pictures of all those amazing sites. We ate at a trendy and casual place called Giraffe’s on the Thames. I splurged on the dinner and ate quite well that night. I didn’t and don’t regret it one bit. 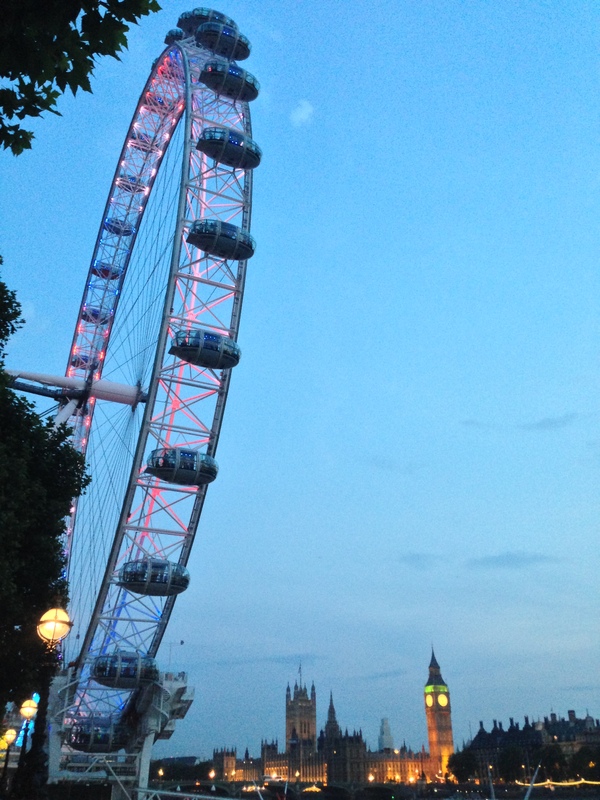 That’s the gist of my London trip! The rest was just travel the next day. My friends and I woke up at 2:30 to get to the airport for our 7:20AM flight. We made it on time, but it was pouring in London that morning, so our flight got delayed three hours. Due to the delay, we missed our scheduled bus in Frankfurt, but managed to use our tickets to board a later one. We couldn’t take the bus all the way to Metz, so we got off at Luxembourg and took a regional train back to Metz. It was a whirlwind of a weekend, but one of my favorites this summer! 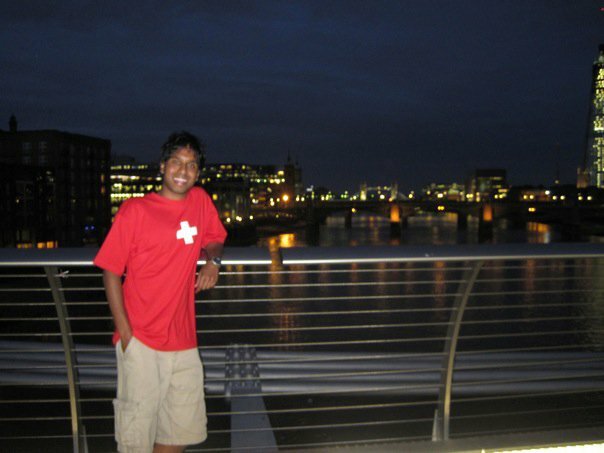 The first weekend trip took me and several friends to London. Our plan was to tour as much of the city as we could sooner, before the Olympics, rather than later, when things began to get crazy. We took a bus in on Thursday night and got settled in. Our hotel was very nice and modern but was about the size of a large cardboard box and the bathroom was a close relative of those found on regional jets. 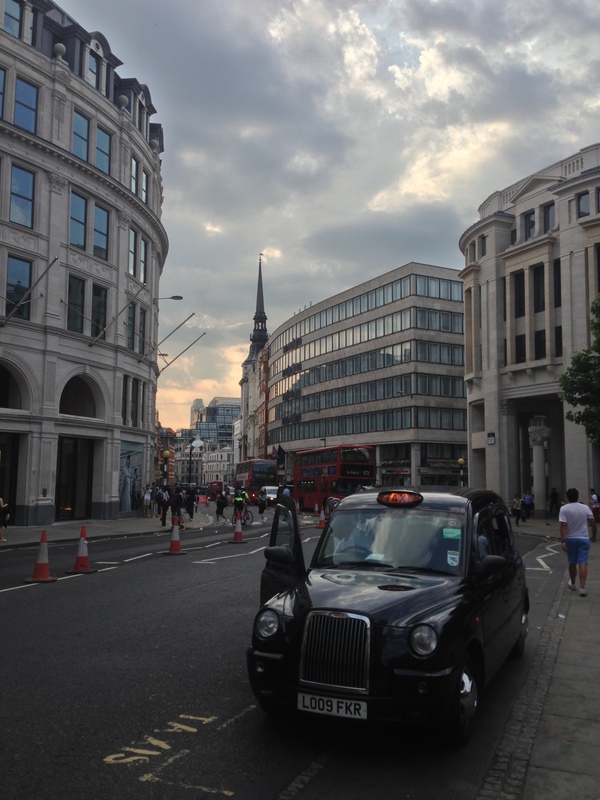 It didn’t matter, though, as we didn’t intend to spend significant time in the room, we were in town to see London. On Friday, we spent time meandering around the city browsing sights of interest. We saw the changing of the guard at Buckingham Palace, Platform 9 3/4 (of Harry Potter fame) at King’s Cross, and ventured out toward Abbey Road (though we got a bit lost and weren’t able to make it), Westminster Abbey, and Big Ben. We began Saturday with a double-decker bus tour that stopped at major points of interest in the city. 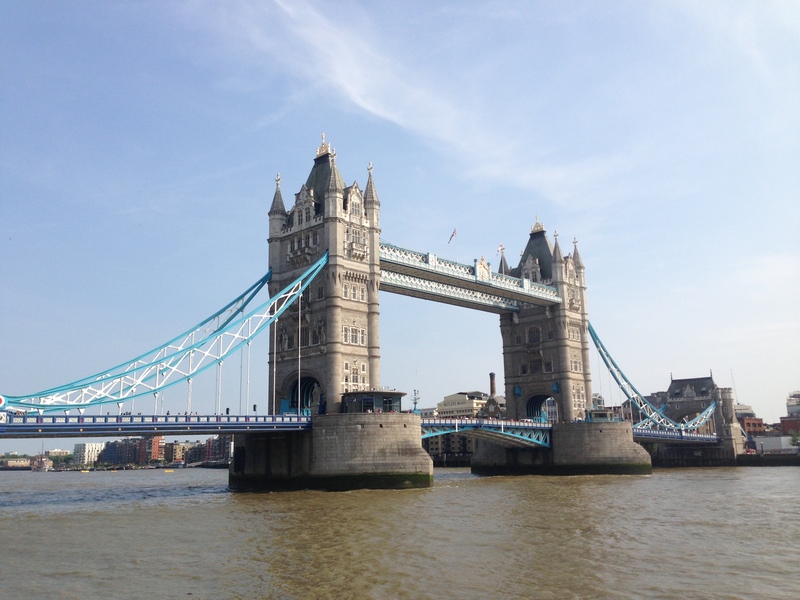 We got off at the London Eye and took a boat tour from there down the Thames to the Tower of London where we walked around for a bit before taking the boat back and boarding the bus tour again. We stayed on the bus as it drove through the city and the tour guide narrated various features as we passed. Some of the people in our group purchased tickets to a showing of The Phantom of the Opera Saturday afternoon so while they attended that, I made my way to Hyde Park and then on to the science museum, which I enjoyed very much. There were some fascinating exhibits on the history of mathematics, time, and energy. The most interesting to me, by far, was an area dedicated to the internal combustion engine, with a strong focus on airplane engines. On Sunday, before we left, we decided to visit the National Gallery, our first museum in 7 weeks that we entered of our own volition. It was neat to appreciate the art there after having spent so much time on the continent studying art history. Soon after, we returned to Oxford for another week of classes. So it’s towards the end of the summer, and this is the first stretch of free time I’ve had! Needless to say, it’s been a whirlwind. 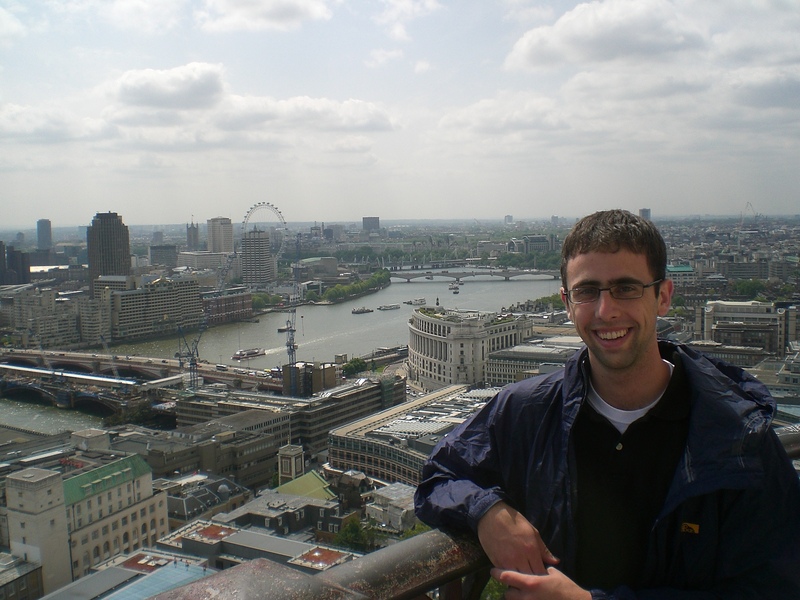 My friend Aurel and I flew into London about a week before the GTL program officially began – airfare was cheaper to London, and I knew I wouldn’t go to England if I didn’t go then because England is frustratingly enough not included on the Eurail train network. So May 12th, I arrived in Europe armed with 85 pounds of luggage and no hostel reservations. We found a place to stay for Thursday night, but as London was having a bank holiday that weekend, absolutely everywhere was booked, throwing a slight catch into our plans of spending the weekend there. 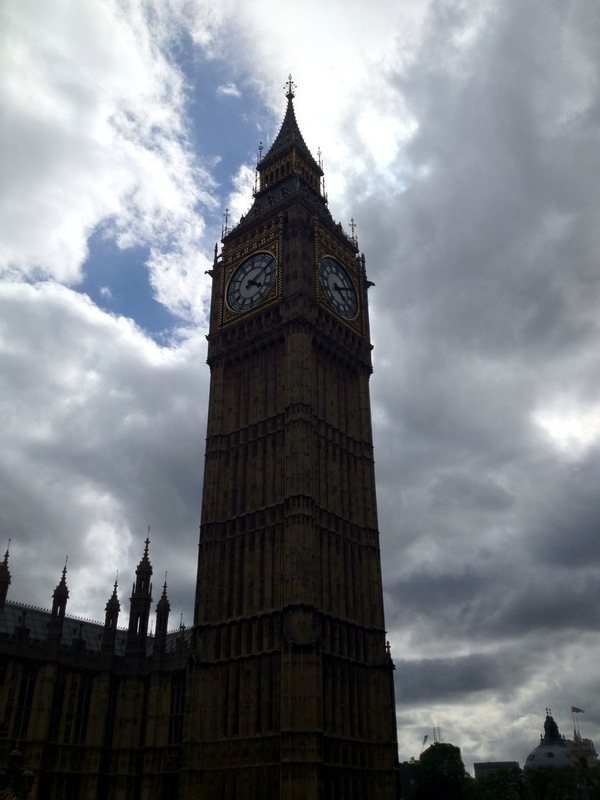 Posted by abbyhill in Travel Log. We had a four-day weekend this week, so I went to London, where I met up with my Tech roommate, Rachel, and some of her friends. They’re all studying at GT Lorraine this summer. 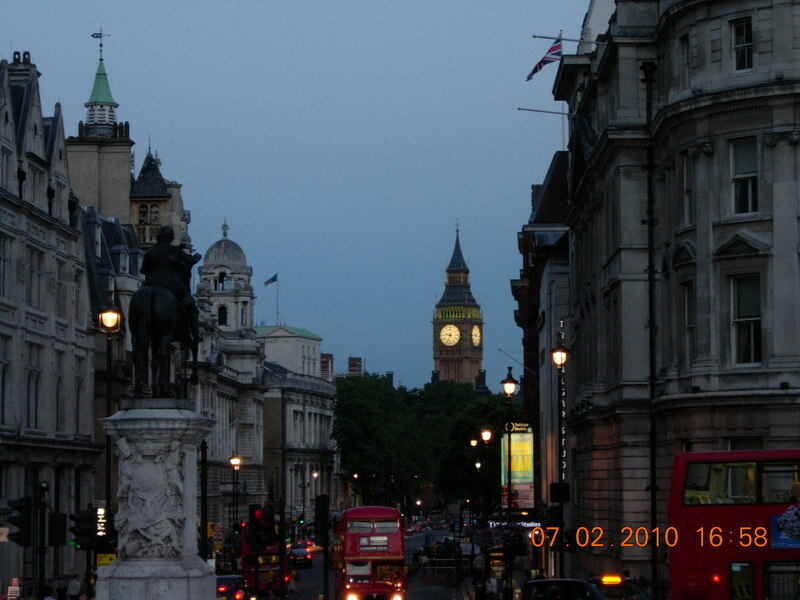 The first night in London, we went to Trafalgar Square and saw Big Ben. It was very surprising how close everything is. 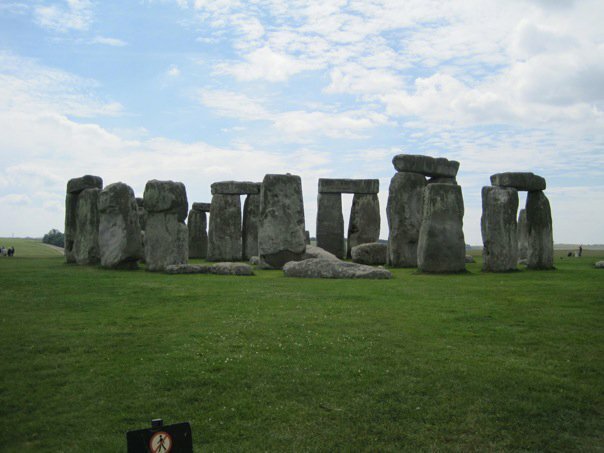 Many of the big tourist attractions are within easy walking distance of one another. Best experience to have within 12 hours of entering a new continent? Testing out the local health care by bringing your travel mate to the hospital for falling off of the bunk and needing stitches. He’s fine. Mind the Gap. ‘Nuff said. Yes, the cars drive on the wrong side of the road in the UK. London’s authorities recognize the confusion this causes in the minds of American travelers and so conveniently paints on the roadways which way to look while crossing. It’s true!